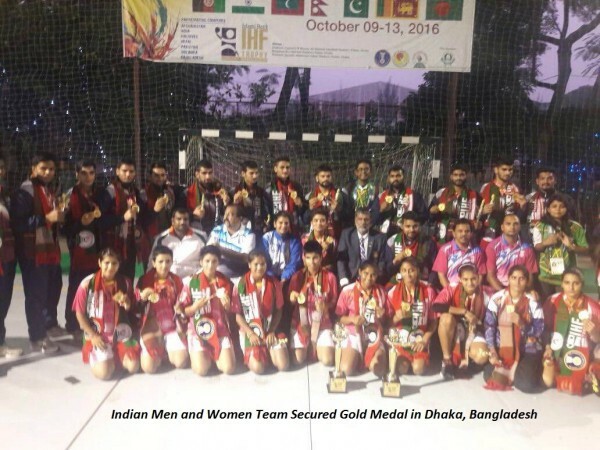 In India, sport of Handball and HFI was founded by Jagat Singh Lohan a Jat from Rohtak (Haryana) who was an alumnus of YMCA College of Physical Education of Madras (now Chennai). He was the also the first Secretary General of HFI. Lohan was founder/father of Handball, Netball and Throwball games in India. His efforts in Germany during the Munich Olympics in 1972 helped in establishing HFI. The founding member states were Andhra Pradesh, Uttar Pradesh, Haryana, Vidharbha and Jammu and Kashmir. The 1st Senior National Handball Championship was held at Sir Chhotu Ram Stadium, Rohtak (Haryana) in the year 1972. Haryana won the Gold Medal and Vidharba got the silver medal. In India, handball is currently played at local level in India but hasn't made it big in domestic level. India has yet to make an impact at international level, world championship and the olympic games.